Oklahoma Connection | Stewart came with his parents to Oklahoma City at the age of four. Jimmy Stewart was always above average in athletics and in the fall of 1929 made the final cut for the Wichita High School North varsity football squad out of 104 recruits. A few weeks later during a tough game, Jimmy looked at the stands and saw not one black person in attendance. On the field, Jimmy was the only black member of the 1930 football squad, and the only member of the team’s starting backfield to make the All-City team. James Edward “Jimmy” Stewart, Sr. was born in Texas and raised in Oklahoma City. When he was eight, his father, a Baptist minister and oilfield worker, died of malaria and his mother was left to support the family as a laundrywoman, often earning less than 35 cents an hour. Stewart graduated from Wichita High School North in 1931 and spent a year at Langston University before he took a job as janitor at Oklahoma Natural Gas (ONG) Company. Upon retirement in 1977, he was assistant to the vice president. From 1942 to 1945, Stewart volunteered and served with the first battalion of black Marines, and after the war, resumed leadership in the Oklahoma City branch of the National Association for the Advancement of Colored People (NAACP). 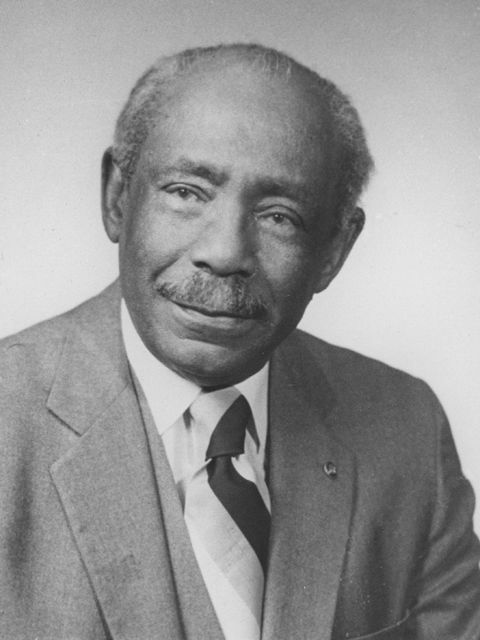 His negotiating skills and perseverance led to the first jobs for African Americans in the post office, as firefighters, equal pay for teachers and the opening of the University of Oklahoma to African American students. He began writing a column for the Black Dispatch called “Jimmy Says,” in 1939 and continued working for the paper for 33 years, eventually as an editorial writer.